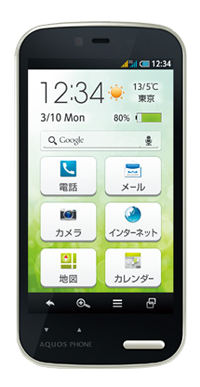 Sharp and Willcom are releasing a new "simple smartphone", the Aquos Phone ef WX05SH. And simple it is! 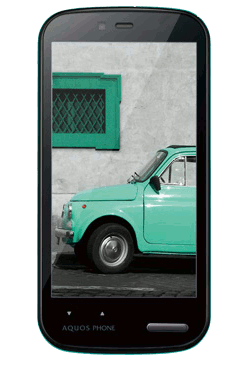 The Aquos Phone ef WX05SH comes with a dual-core MSM8260A processor clocked at 1.5 GHz, 1 GB of RAM, and 8 GB onboard storage; microSDHC cards are supported. The smallest Japanese operator Willcom is back in the smartphone game with a new device by Sharp, the Aquos Phone es WX04SH. 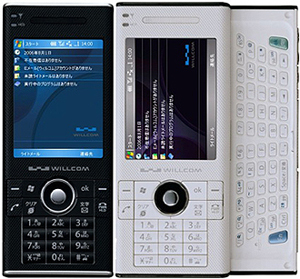 Willcom was the first Japanese carrier to release Windows Mobile devices back in 2005/2006. 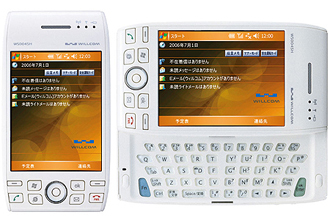 Launched in July 2007, behold the next W-ZERO3 advanced [es], model number WS011SH. 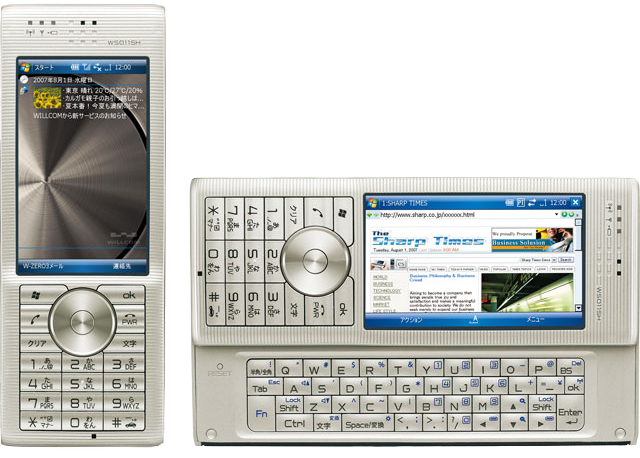 Shortly after the first W-ZERO3, in July 2006, an upgraded version, the WS004SH, was released, featuring a slightly improved system having 256 MB of ROM (197 MB accessible to the user) and Windows CE, version 5.1.195. Infrared and Bluetooth connectivity were also added, including a pre-installed Opera 8.6. 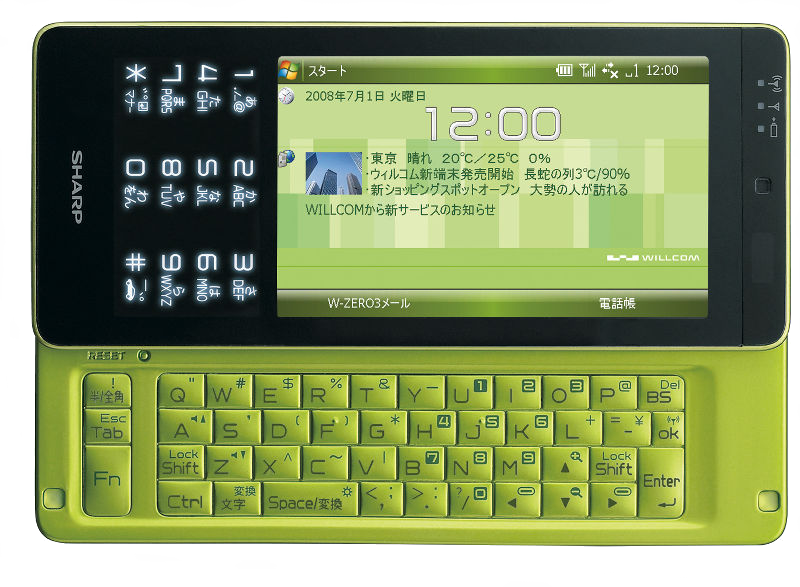 W-ZERO3 is the name of the Windows Mobile Pocket PCs Sharp manufactured for Japanese operator Willcom. 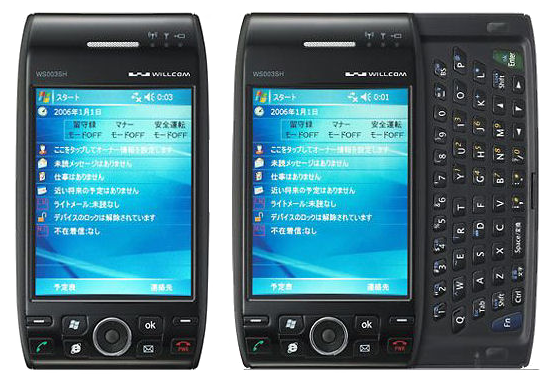 The first W-ZERO3, the WS003SH, was released in Japan in mid-December 2005 and was Japan's first Windows Mobile 5 device and the first to feature a full QWERTY keyboard.